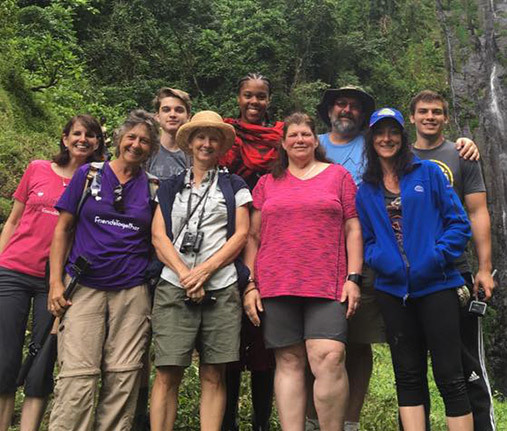 2017 Tanzania Relief Trip – Friends-Together, Inc. 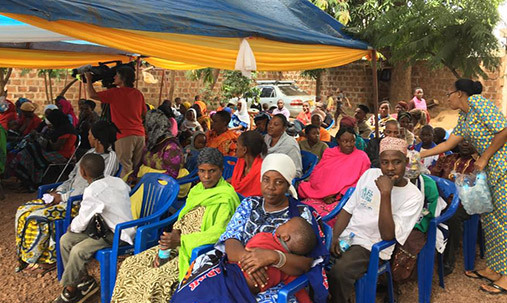 In the summer of 2017, Friends-Together returned to Tanzania with 12 volunteers to undertake its largest relief effort in its history. The trip was two years in the making and the planning for it had begun before the 2015 trip was even complete. The biggest issue our team had always been aware of since 2004 was lack of sanitary products for impoverished women and girls. It was a problem that kept girls from attending school, women from being able to work, it interferes with all quality of life aspects for women on a monthly basis. Our problem was we could never see a viable solution for this issue. But in 2015 it appeared. We partnered with TAFCOM an organization that works with HIV infected and affected women and they have a tailoring program. Thus an idea was born. Have them sew reusable sanitary pads……… Now the problem how to raise the funds to make that happen…. 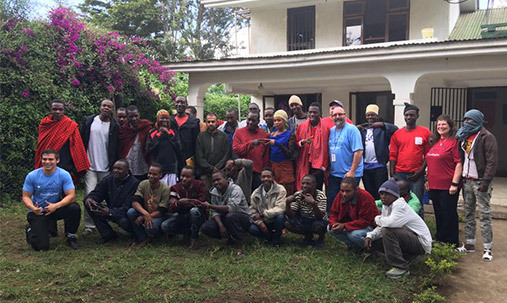 Here is what Friends-Together was able to do in Tanzania in 2017. We had 12 volunteers on the ground but hundreds of support team at home that made it all happen. books were purchased and donated to 5 Tanzanian schools. reusable pads funded by Friends Together and sewn by the woman of TAFCOM were donated to 730 women and girls. pounds of medical and school supplies were donated and delivered. 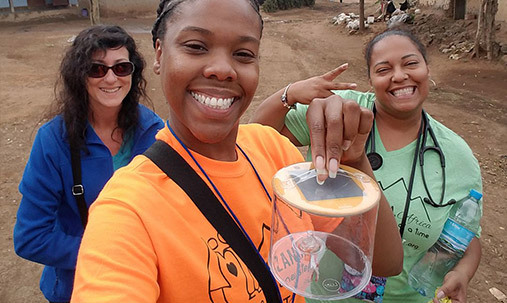 solar lights were donated and delivered to homes of HIV-positive families with no electricity. new sewing machines were purchased and donated to TAFCOM. Conducted 3 large community stake holder education events that included HIV and addiction awareness. Elected officials, community leaders, media, agency personnel and consumers all attended. 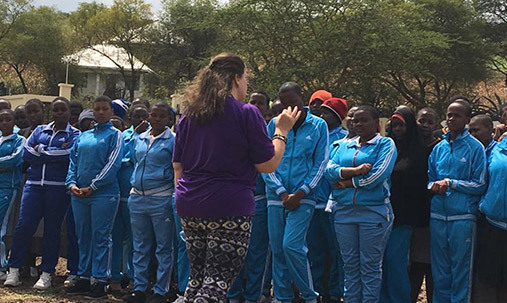 We were honored to conduct classes at schools and grassroots organizations from Moshi to Arusha. The locations varried from the Arusha Day school where we spoke to all 1,400 high school students in a two hour assembly on HIV and addiction to a Sober Living House where we visited twice and spoke to 40 residents in recovery. We did a total of 14 education events each incredibly meaningful and powerful in their own way. Every school and organization we visited received some supplies even if they were not on our original planned list. Our medical team was busy with home visits. They conducted 18 home visits with the TAFCOM outreach program for the HIV positive women. They delivered the solar lights to all the homes (there is no electricity is this area) and conducted physicals. They were able to diagnose multiple cases of pneumonia and get the proper medication, we also paid for several much-needed advanced medical test to be done after we had left. The team identified a large need for food for the TAFCOM outreach program. Rice, beans and cooking oil was bought immediately for several families who had nothing. 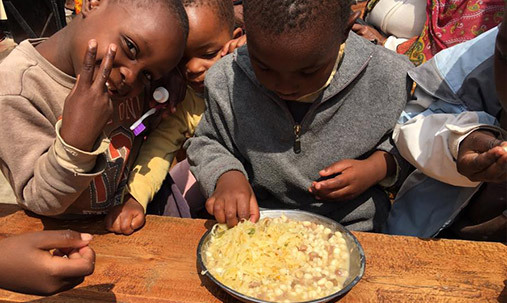 But Friends-Together then arranged for a two-month supply of rice, beans, and oil to be delivered to the TAFCOM offices for home visits. 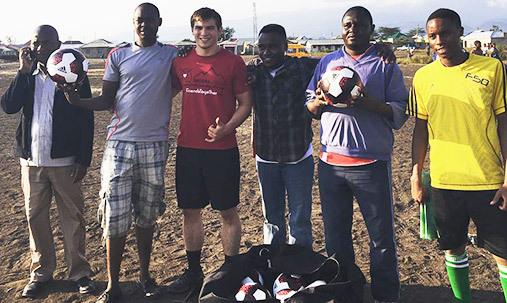 Simultaneously, we equipped a new soccer league in Arusha that is in the area of the Tim Harrington school that is working to keep teenagers out of trouble. We gave them 10 new soccer balls, equipment bags, jerseys, t-shirts, and socks. Donated anywhere from $100-$400 to various organizations we visited to help with their missions. WE took 50 children from the Tim Harrington school on an outing to the Massai park where we saw snakes, turtles, birds, and camels. Most of us rode the camels and some of us kissed a snake. We contributed to clean water projects.